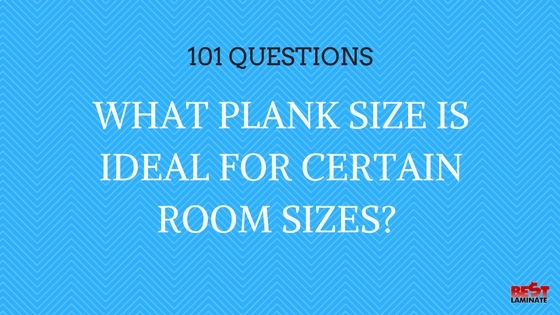 What Plank Size Is Ideal For Certain Room Size? Home >> 101 Questions Series >> 101 Hardwood Flooring >> What Plank Size Is Ideal For Certain Room Size? Plank size matters – whether it’s laminate, vinyl, hardwood, or any other type of flooring. You want to strike a balance with the plank widths, otherwise your room could look overwhelmed or cramped. What’s the Ideal Plank Size? The general rule of thumb when choosing is the bigger the room, the bigger the plank size can be. Most laminate designs range between 5” and 8” planks, but may be broken up within the plank to have the appearance of 3” or 2″ board patterns. Use 3”-5” wide planks to help open up smaller areas, while larger rooms tend to look better when you use 6”-8” planks. If you have a large room with 3” planks, this will make your floor look extremely busy. If you use larger than 5″ planks in small rooms, it will dwarf the room and make the room feel smaller. For additional help visit our Help Pages. 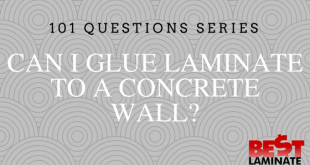 Can I Glue Laminate to a Concrete Wall?